Thank you for visiting Wonderful Gifts for Wonderful People. My name is Aysha and I am the owner of this blog. This gifts idea blog was created to provide my dear readers with valuable gift ideas, so they do not resort to presenting a gift card as a last resort. Don’t get me wrong, gift cards are great gifts under certain circumstances. However, I personally feel that one shouldn’t give a gift card because he/she does not know what to give their loved ones as a gift. This blog hopefully would give them a better idea. I am an affiliate with Amazon.com, Zazzle.com, CJ.com and many other stores and affiliate firms that can give you wonderful gift ideas for everyone. Many of the gift ideas presented here are based on products from these websites and more and my referral ID are linked up appropriately. This blog has been around since 2010 and has gone through vast improvements and revamps over time. 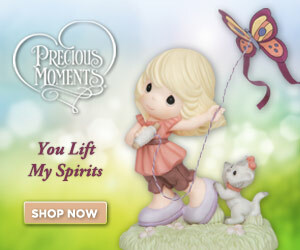 As you can see on the homepage, you can easily find gift ideas by occasion, people and categories. This easy categorizing would make it easy for you to find the right wonderful gift for the wonderful people on your list. So now you can find the perfect gift quickly and easily. And they would certainly cherish it. Another great thing I get to do with my gifts blog is help businesses and brands out there be able to promote their products, especially when they make a wonderful gift for your loved ones. There are several ways that businesses, especially small business owners can get more exposure through Wonderful Gifts for Wonderful People. These services include product reviews, text link ads and much more. We are unfortunately no longer open to guest posts until further notice. I do hope that you enjoy your time at Wonderful Gifts for Wonderful People. You can also find me at our Print on Demand store at Zazzle, Add More Color. Please feel free to contact me at any time. I would love to hear from my valuable readers. Once again, thanks for reading this site and I hope you would enjoy the gift ideas that I share here.